One of the things people mostly asked me is how much can you earn from crafting? I have been a crafter since I was a kid. My mom takes time to prepare me lunch and gives me around five pesos (if I am a bit luckier, she will give ten) as “baon” to school. That will be enough to buy me a cupcake and an orange juice in foil pack. But since I want to do a lot of things and cannot afford them, I often sell the things I can do,like pencil drawings of famous cartoon characters in a sheet of bond paper, crocheted purse at P2.00 to P5.00 each, homemade polvoron and pastillas my mom cooked, pad papers transformed into notebooks. I know ever since that crafting actually earns me money. And whenever I want something, I do not hesitate to think of a craft I could sell. So how much have I earned from crafting? I am unable to count. The most memorable earnings I can remember was from creating beaded accessories which helped me afford half of the money I needed for a conference trip in Bohol during college. That is saying something. The only “accounting” I remembered doing was that for a thousand pesos worth of materials that could supply me accessories for a month, I can earn twice as much in a week. Take my friend, Cherry, as an example. She has a facebook page that showcases her amigurumi projects. She sells amigurumi as souvenirs. Crocheting is very hard despite the popular belief that it is the most convenient needlework craft. When doing amigurumis, you have to be very, very, very, very patient. 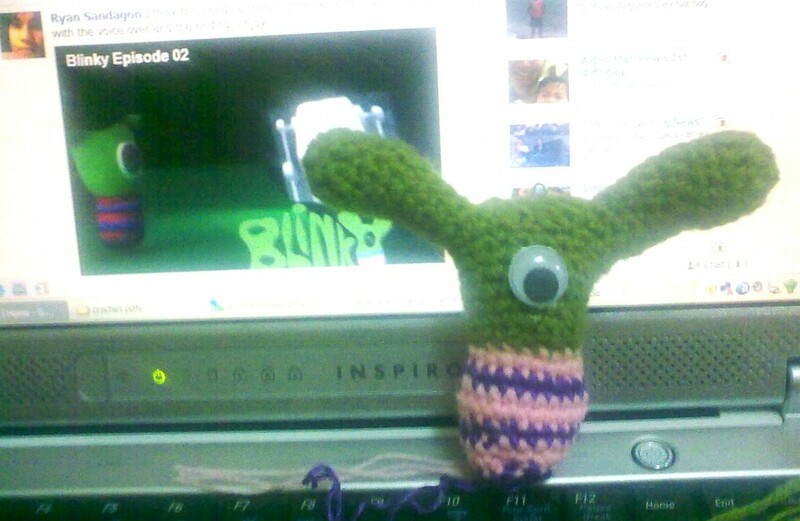 I have no patience doing amigurumi. The best thing about Cherry is that she creates her own designs with no patterns to follow. She is humble enough to admit she can’t read and understand patterns and instructions, hence she improvises, with only Monaco cotton thread as her material and a single sized hook. This year, like Cherry, my mind is full set to sell and earn. I am crocheting carefully as to make each stitches neat and uniform. And I am trying to create new designs as well. This time around, since I am no longer crocheting for myself, I am very patient with each project. Do not crochet when you are tired and do not continue when your hands hurt. Each misgivings I will feel for a project might contribute to the total effect of the finished product, so I will only do so when I am eager. And since I have a goal in mind, I know I will never run out of eagerness. This entry was posted in Blog, For Sale, My Story, My Life and tagged amigurumi, cherry, for sale on January 16, 2013 by Lorelie Dazo. Blinky is an imaginary characted created by 5-year old Jas. His father Ryan Sandagon turned the imagination into an animation. His father’s Org Buddy turned the imagination into a crochet project. This entry was posted in Blog, Crochet, Gawang Gantsilyo and tagged amigurumi on September 19, 2009 by Lorelie Dazo.